Twitter announced additions to their Promoted Products suite on Monday, October 4th including news that HootSuite is the first 3rd party syndication platform for Twitter's Promoted Tweets and Promoted Trends products. 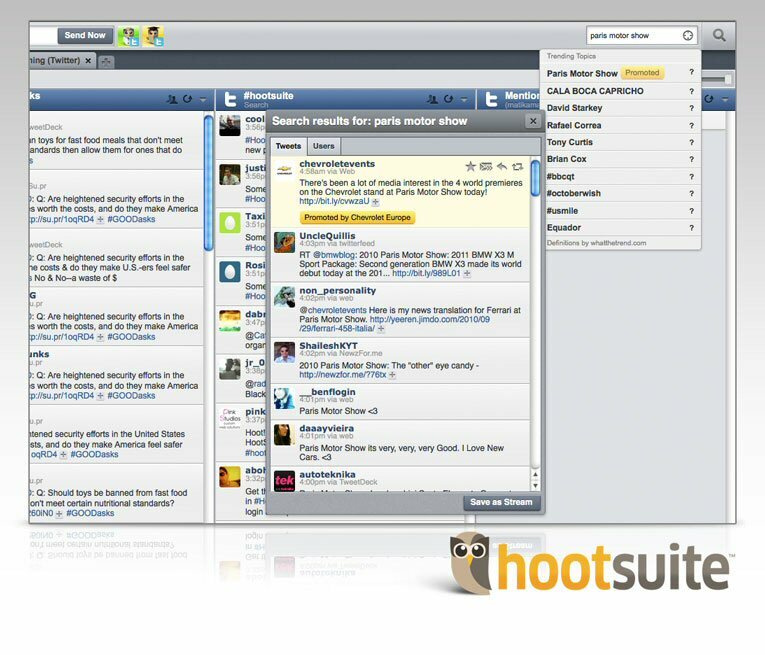 HootSuite was announced as Twitter's preliminary launch partner for the newly-expanded Promoted Products suite. 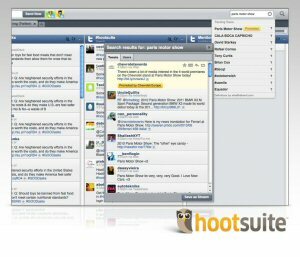 Immediately after the switch over, HootSuite began delivering Promoted Tweets and Trends products to customers. Twitter and HootSuite will share revenue from the Promoted Products program. "We are testing syndication of Promoted Products with a select number of partners – HootSuite is launching today, and others are on the way. These partners will run Promoted Tweets in search and highlight Promoted Trends, sharing in Twitter's revenue for these products." Twitter's Promoted Tweets arrive to HootSuite users in much the same way as usual 140 character messages, but with a few key differences. For example, searching for "flight to Toronto" within HootSuite displays a clearly marked Promoted Tweet from a related company at the top of the column – Virgin America in this case – along with the usual stream of keyword mentions. Because Promoted Tweets are organic to Twitter, users can re-tweet, reply, favorite and any other usual action. Rather than broadcasting to unfocused groups, businesses can provide context-specific messages specifically related to users' interests. HootSuite users now also see Twitter's Promoted Trends as part of a list of Trending Topics. Promoted Trends are time-, context-, and event-sensitive trends promoted by Twitter's advertising partners. These paid Promoted Trends appear at the top of the Trending Topics list on HootSuite Twitter and are clearly marked as "Promoted." Like all other Trending Topics, Promoted Trends are already popular subjects on Twitter, but may not have made their way into the Trending Topics list yet. Trending Topics are often related to popular cultural events, funny memes, breaking news or popular celebrity incidents. To arrange additional comments from HootSuite, see online media kit: http://blog.hootsuite.com/media for media contact. HootSuite displays Promoted Tweets and Trends from Twitter.